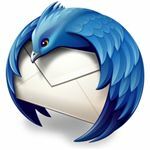 The free email client Thunderbird is quite popular because it runs not only on a Windows computer but also on OpenSolaris, Mac and Linux operating systems. In addition, Thunderbird isn’t only an e-mail program but a newsgroup client and an RSS aggregator. The program supports POP, IMAP and LDAP protocols and several types of file formats such as mbox, Mork and SQLite. What is neat about using Thunderbird is the ability to install and use software extensions, also known as Thunderbird add-ons, which allows end-users to change the theme, search providers, foreign language dictionaries and features. 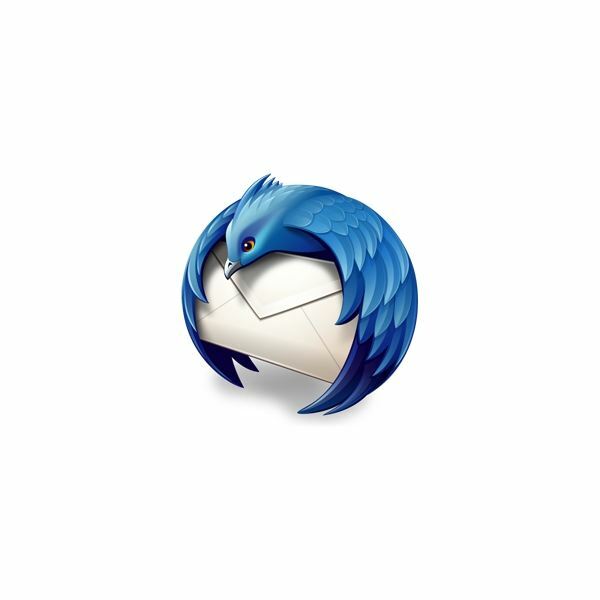 If you are looking for Mozilla Thunderbird tips, tools and tutorials, you don’t have to look further because you’ll find in this guide some of the best write-ups by Bright Hub’s technology experts. It isn’t difficult to import your email messages, address book entries, filters and preferences from another email program or as a text file. The built-in import tool in Thunderbird should run normally when importing email files from Apple Mail, PocoMail, Outlook Express, Eudora, Microsoft Outlook and more. However, if the import process goes bad, the above article provides not only the steps in importing email messages, but also different ways to transfer your messages into Thunderbird. Some email clients do not recognize the mailbox files of Thunderbird, which scared people into moving away from using Thunderbird because they are stuck. Also, for whatever reason by Mozilla, they are not working on providing an efficient export tool in Thunderbird. Worry no more because our technical expert will help you to export Thunderbird mailboxes so you can access them using Microsoft Outlook. Transferring files and folders from old PC to a new one is a huge task, especially if you are using third-party programs and not the default software in Windows. If you are wondering what preparations to make before transferring your e-mail messages, contacts and settings of Thunderbird to a new computer, check the linked article. Note that the export process is using the manual method, which is great because you’ll be sure that you are transferring files the way they were on the old PC. Some people prefer using add-ons to expert Thunderbird stuff but you’ll never know when an add-on has bugs or glitches. After transferring your email messages to a new PC or new hard-drive, you might want to try installing Thunderbird add-ons. You were excited to try Thunderbird because you learned that you could extend the functionality in free email software. Read the guide on how to download and install add-ons for Thunderbird to start amusing yourself! Are you sick of the default icons, toolbar colors, dialogs and other visual styles in Thunderbird? Do you want to change its appearance so your teenage son or daughter will be attracted to checking the email program and hopefully read your daily messages and reminders? Check out the 12 great themes for Thunderbird selected by our Bright Hub expert. I hope you are not into the color “pink," though. There’s no place like Gmail to some people because they aren’t only enjoying a free e-mail account, but they can access it anywhere or in any email program. They can even take advantage of the Google Tasks feature that is similar to the Microsoft Outlook task manager. Find out which Google task add-ons are best to use for Thunderbird. People who understand the need of backing up personal data such as email messages, contacts and e-mail settings are looking for ways to easily backup Thunderbird. They are usually disappointed upon learning that Mozilla has no native data export tools. All they are offering is to archive Thunderbird email messages by moving them to a dedicated folder within the Thunderbird profile. That is not helping people who want to store the archives or backups in another location just in case of disaster. Check out the above guide on how to back up Thunderbird, not by using single method but several different ways. Are you using Google Gmail service at work and you want to access and download all your Gmail messages anywhere you go using Thunderbird? Forward your Gmail email accounts to your Thunderbird so you can view all of your email accounts with Gmail in one location. Not only can you download Gmail messages into Thunderbird, you can also have them in the Gmail servers anytime you want because messages are not deleted after you’ve download them into Thunderbird and other email clients. It’s common to see two or more computers in a household, which is why many people are taking advantage of using different types of operating systems. It’s also common to see a guide or tutorial on how to convert Windows emails, documents and calendars to a Linux computer but what about the opposite? If you are using Linux OS and decided to use the other computer at home by installing Windows, you don’t have to limit your access to documents (.odf format), emails and calendars in Linux PC because you can have them in the Windows machine as well. Campaign Monitor reports that Microsoft Outlook is the most popular e-mail client as of June 2011. Maybe it is popular because it is shipped as OEM in new computers or simply because the email program includes e-mail, news clients, an RSS aggregator, note taking, task manager, a calendar and more. Many people depend on using the calendar and scheduling component, which is one of the reasons Outlook has an advantage over free email clients. Mozilla Thunderbird lets you have a calendar too, and you can even sync an iPod calendar and contacts with Thunderbird, just as how iTunes allows synchronization with Outlook. Security researchers recommend sending a secure email message because it helps in keeping your message private. Encrypting an email message also helps to let the recipient know that the email is from you and not from someone else that pretending to be you. Take advantage of encrypting messages in Thunderbird for Ubuntu, Windows or Mac. Have you downloaded an HTML message or an email with pictures in Thunderbird, but you don’t see the image or photo at all? You’ve gone through Internet Options by making sure that the “Display mixed content" is configured to prompt you but the problem in Thunderbird continues to occur. Find out in the linked article how it is easy to display missing images in Thunderbird and Outlook. “Uh-oh… Looks like Norton has done it again!" is the usual expression we’ll hear from Norton users because you are seeing a time out error in Thunderbird, if Norton email protection is enabled. Most antivirus programs with an e-mail scanner are being blamed for time out errors and duplicates of messages. Don’t remove Norton or don’t disable the antivirus for emails that soon because it’s not Norton to blame. Switching to McAfee from Norton to fix problems in Thunderbird will not help you and your pocket. Sending and receiving emails using Thunderbird while keeping your computer and emails protected from malware, phishing email, and spam using McAfee Antivirus shouldn’t give you a problem. However, if Thunderbird isn’t working normally with the McAfee program, e.g. the Thunderbird toolbar is messed up after installing McAfee, you can fix it easily. Bugs, glitches and vulnerabilities are common to any software but they should be fixed quickly by the vendors to prevent losing data or damaging application and system files. Thunderbird is free software but not bug-free at all. This is why program and security fixes are often released by the Mozilla team. Find out how you can fix common bugs and errors when using Thunderbird. Do you have new Thunderbird tips and tutorials to share? Have you found a useful tool that works like a charm with Thunderbird? Share it with by posting your comments below.